Dagaz, Eihwaz, Featured, Gebo, Hagalaz, Ingwaz, Jera, Kenaz, Laguz, Mannaz, Naudiz, New Books, Othala, Personality Runes, Raido, Sowilo, Teiwaz, Wunjo, Wyrd	Leave a Comment on I Have A New Book – Personality Runes! I have so many other books to finish, but this one kept calling to me. 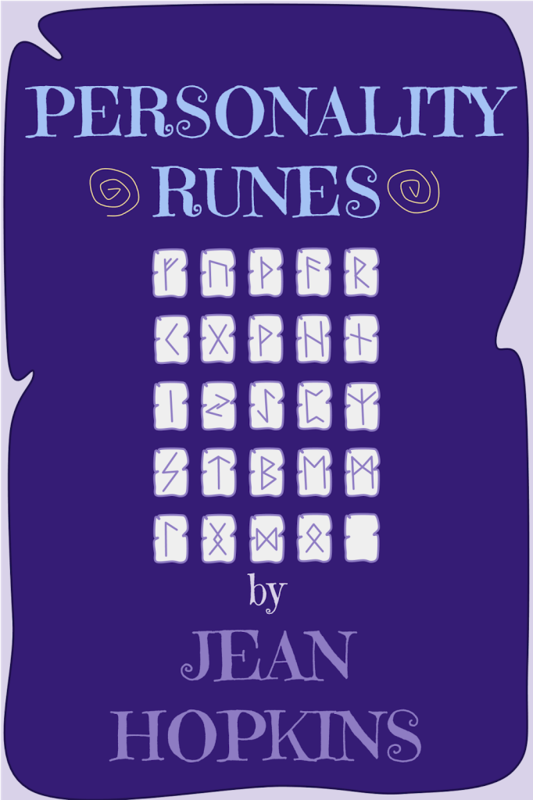 The ideas behind Personality Runes were ones I’ve used myself over the past several years. I never thought to share it beyond some hastily-scribbled random words, posted on a digital flashcard site. As I delved deeper into each Rune to flesh out my thoughts more, I felt more in tune with the Runes on a whole. Strangely enough, the Runes I’d so carefully crafted (and wrote about in this book) were lost when we moved last year. I remember carefully packing them so I could get to them as soon as we unpacked, but I still haven’t been able to locate them. Along with the Runes were a beautiful set of Goddess Tarot cards, and a growing collection of semi-precious stones. I’m sure they’ll be found at some point in the future. Who knows, perhaps they’re meant to be handed down to one of my kiddos! In any case, I relied heavily on my artistic/creative side to connect with each shape and symbol in the Runes. It’s something I enjoy quite thoroughly on many levels. I love to find out about all the different sorts of people there are in the world. To get into their minds, figure out what drives them, and possibly turn them into a character for one of my stories. Isn’t it interesting how everything always comes back to stories? This book is available on Amazon as a regular book (gasp – not just an eBook?). It’s available through several different places as an eBook, too! Smashwords distributes to many other channels, too, so check your favorite eBook stores in the coming days!